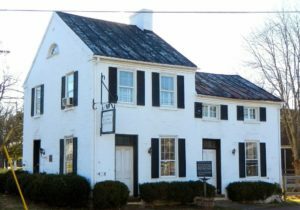 Poolesville’s 1785 House is listed in the National Register of Historic Places. Early records indicate that it was originally two homes owned by John Poole. A Civil War plaque outside bears witness to its place in history. The 1785 House was recently fully renovated into modern office space while preserving its historic character.